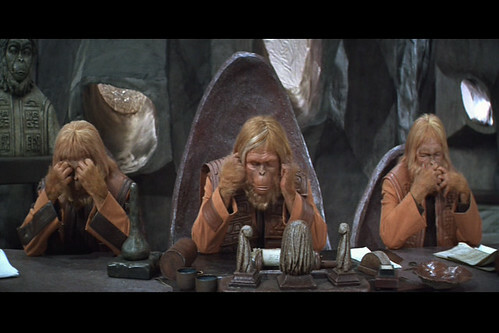 Don’t want to alarm you, but scientists in China may have set us on this path. CC-licensed photo by James on Flickr. A selection of 12 links for you. Attack ships on fire off the shoulder of Orion. I’m @charlesarthur on Twitter. Observations and links welcome. The post now says that AI will be used, not to keep memorialised accounts from showing up in algorithmic features, but to keep accounts that haven’t been memorialised from doing so. “If an account hasn’t yet been memorialized, we use AI to help keep it from showing up in places that might cause distress,” Sandberg is now quoted as saying. In other words, Facebook’s AI is being deployed to work out which of its users are dead, rather than waiting to be told. Given the average mortality rate of 8.1 per thousand per year, and 2 billion users, about 16.2 million users die every year – that’s about 45,000 per day. That AI can’t come too soon. “Boeing 737 Max: What went wrong?” (BBC) contains a plot showing the angle of attack data being fed to Boeing’s MCAS software. Less than one minute into the flight, the left sensor spikes to an absurd roughly 70-degree angle of attack. Given the weight of an airliner, the abruptness of the change was impossible due to inertia. But to have avoided killing everyone on board, the software would not have needed a “how fast is this changing?” capability. It would simply have needed a few extra characters in an IF statement. As Greenspun points out, it would just be a little extra logic – if a reading is wildly impossible, then reality hasn’t shifted; the sensor is wrong. The logic presently tends to assume the sensor is right. Is the Statue of Liberty still in place? Just checking. We, the undersigned 4,269* Amazon employees, ask that you adopt the climate plan shareholder resolution and release a company-wide climate plan that incorporates the principles outlined in this letter. Climate change is an existential threat. The 2018 Intergovernmental Panel on Climate Change (IPCC) report predicts that a warming of 2° Celsius, which we’re currently on track to surpass, will threaten the lives of hundreds of millions of people and put thousands of species at risk of extinction. We’re already seeing devastating climate impacts: unprecedented flooding in India and Mozambique, dry water wells in Africa, coastal displacement in Asia, wildfires and floods in North America, and crop failure in Latin America. Vulnerable communities least responsible for the climate crisis are already paying the highest price. A six-point manifesto, including transition away from fossil fuels, prioritise climate impact, and also stop donating to climate-denying legislators. Let’s hope this is heard. The existence of a Russian disinformation campaign that could make Americans hesitant to vaccinate their children highlights something important about the Kremlin’s information war on the United States. Moscow’s goal has never been to advantage Republicans or Democrats. Instead, it is after a far bigger prize: the exacerbation of Americans’ distrust of one another and, in turn, the erosion of their confidence in society and the U.S. government. Moving toward the opposite pole of the discussion, a Russian troll account tweeted: “Do you still treat your kids with leaves? No? And why don’t you #vaccinate them? Its medicine! #VaccinateUS.” The study suggested that by giving the illusion of a grassroots debate, complete with content pushing both for and against vaccination, Russia could better tap into the fears and divisions among Americans—and exploit them. It’s easy to suggest that social media is the problem, but it’s credulity and lack of education that’s the real problem. Naturally, Huawei denies any manipulation of the cable sets it is constructing, even though the US and other nations say it is obligated by Chinese law to hand over network data to the government. The US last year restricted federal agencies using from using its 5G equipment; Huawei responded with a lawsuit in federal court. Washington is pressuring its allies to follow its lead — the American ambassador to Germany warned that allowing Chinese companies into its 5G project would mean reduced security cooperation from the US — but this is an uphill battle. Most nations and companies feel that better cell phone service is worth the security risks. A similar dynamic is playing out underwater. How can the US address the security of undersea cables? There is no way to stop Huawei from building them, or to keep private owners from contracting with Chinese firms on modernizing them, based purely on suspicions. Rather, the US must use its cyber- and intelligence-gathering capability to gather hard evidence of back doors and other security risks. This will be challenging — the Chinese firms are technologically sophisticated and entwined with a virtual police state. The US and UK are itchy about this because they know they can do it: there’s a lot of tapping of cables at the point where they leave the ocean. What if the cables have the tapping built in? eventually, Ikea’s smart home app will integrate music controls for the speakers, allowing customers to build scenes that factor in the lamp, Ikea’s smart blinds, and any bulbs you own. (Sonos speakers can already be controlled entirely within Spotify, iHeartRadio, and other apps, so to see that extending to Ikea isn’t a surprise, given the significance of this partnership.) Who needs an alarm clock when your bedroom lamp can blast some music and switch on the light come morning? 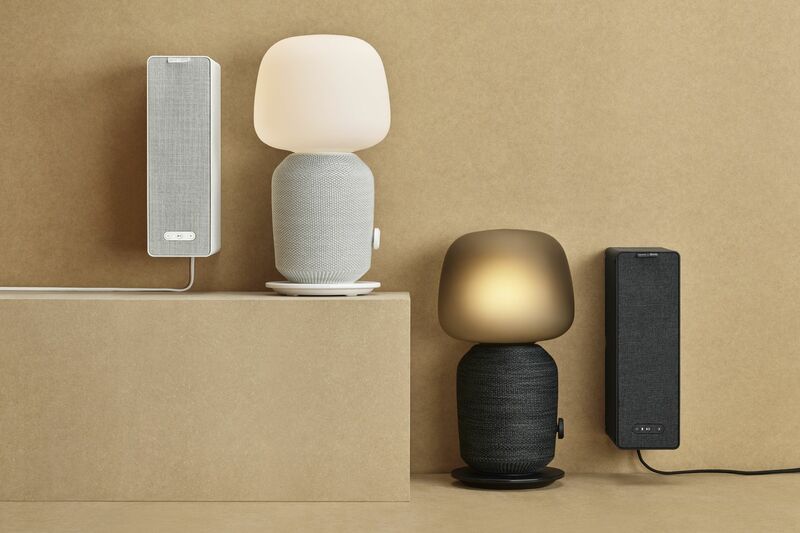 But he also said that Sonos’ TruePlay feature, which tunes a speaker’s audio output based on its position in a room, makes a big difference in improving sound quality for both the lamp and bookshelf products. [Sonos CEO Patrick] Spence expressed confidence that both speakers will sound better than anything else at their respective price points. I wish the bookshelf speaker had a rechargeable battery inside — it seems like a good size to take outside during a party — but that’s not the case. Either way, like most things Ikea, I think the goal here was to make something good enough for the masses. Really not sure what I make of the idea of a lamp speaker. The EHT ran another observing campaign in 2018 — the analysis of those data is still in the works — but cancelled a planned observation campaign this year because of security issues near one of its most important sites, the 50-metre LMT Large Millimeter Telescope in Puebla, Mexico. They plan to continue to do observations once a year starting in 2020. The collaboration is now looking for funding to establish a foothold in Africa, which would fill in a major gap in the network. The plan is to relocate a 15-metre dish — a decommissioned Swedish telescope — from Chile to the Gamsberg Table Mountain in Namibia. For now, the network has already secured two major additions: a dish in Greenland and an array in the French Alps. An expanded EHT network could provide detail on what happens inside the voids — “how the world behaves inside black holes, and if it is as we expected it to be”, says David Sánchez Argüelles, a physicist at the Large Millimeter Telescope. A planet-sized telescope. Visualising a black hole. Amazing. Shulmin says Kaspersky hasn’t yet been able to connect TajMahal, named for a file the spyware uses to move stolen data off a victim’s machine, to any known hacker groups with the usual methods of code-matching, shared infrastructure, or familiar techniques. Its Central Asian target doesn’t exactly provide any easy clues as to the hackers’ identities either, given the vagueness of that description and the countries with sophisticated hacker teams with Central Asian interests, including China, Iran, Russia and the US. Nor has Kaspersky determined how the hackers behind TajMahal gain initial access to a victim network. But they do note that the group plants an initial backdoor program on machines, which the hackers labelled Tokyo. “Central Asia” implies somewhere in the ambit of Russia and China to me. Could be US, could be Israel, could be China, could be Russia. In Alzheimer’s, as language skills deteriorate, we see two types of tell-tale speech disorders, or paraphasias. It really is primitive by today’s standards, but also shows that people don’t limit their dreams to what can be effectively done today. VoD services posted the lowest number of seasons with cancellations coming after an average of 2.1 seasons. Netflix accounts for 68% of VOD cancellations in the USA. 12 of Netflix’s 13 cancellations since September 2018 occurred at three seasons or lower, including four Marvel shows, as well as Originals comedies All About the Washingtons, The Good Cop and Friends from College. Over half of Netflix’s cancellations have been in the sci-fi genre. No streaming series was renewed or cancelled beyond a seventh season. The Broadcast Networks accounted for just 22% of cancellations and had by far the highest average cancellation season [seasons before cancellation] at 6.5. Long-running series reaching their conclusion include Supernatural (The CW) and Criminal Minds (CBS) at season 15, and Last Call with Carson Daly (NBC) ending after its 17th season. With half of broadcast networks’ cancellations occurring at season two or below, if a show leaps this hurdle, the potential to run and run is close to infinite. The more I think about this, the more I think it’s poor showrunning by the SVODs. Netflix pays hugely to have Friends and The Office US and other long-running series. Unless the calculation is that the actors in a long-running series could hold it to ransom, with little marginal benefit in subscriber numbers. “Once an account is memorialised, we use AI to help keep the profile from showing up in places that might cause distress, like recommending that person be invited to events or sending a birthday reminder to their friends”. Going to add this to the ‘low bar for AI’ list. Along with the YouTube commend from a few weeks ago: “Engineers also immediately ‘hashed’ the video, meaning that artificial intelligence software would be able to recognize uploads of carbon copies”. I’ve never really been on FB ( I’ve got a years-old ghost acxount I used for 1 month) bit the pressure to join keeps increasing for me and everyone around me, both both IM and blog about 50/50. 1- make a convincing Android messaging service à la iMessage. I tried and tried, bit I’ve had to keep the family on Skype for various reasons (reliable, multi-platform, multi-device, OK features and UI; main issues are startup time, new contact identification, and lack of widgets). That’s 3rd-party, so a much harder sell to anyone I can’t simply strong-arm. Most of my contacts are on whatsapp or straight FBMess. 2- adding a blog feature to messaging seems obvious. I don’t think they ever did that. (I think Skype just did, but nobody cares).